With your carbon footprint being almost completely “carbon neutral” hopping aboard a container ship for a cruise is a fantastic and eco-friendly way to travel. If you are over 5 and under 80 years of age and are looking for a cheap adventure and a “out of the box” way to travel the world, perhaps this is for you. 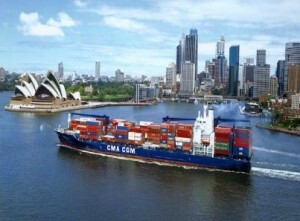 There are plenty of good reasons why a cruise on a container ship could be your trip of a lifetime.. If you want to be able to feel the roll of the sea, opt for a container ship that carries 1000 TEU (twenty equivalent units – containers) or less. For a more stable ride, a 4500 TEU ship would be the best option. Whilst you won’t find all the luxuries that you would find on board the big cruise liners, container ships can still be rather comfortable, with some being fitted with a lift and some offering swimming pools (below deck). One tip that we have is when booking, ensure that your entire view is not just of containers! Whilst EES cannot help to ship yourself around the world, we can definitely assist you with all your freight forwarding needs. Please contact us today to see how we can help you.